A view of mountains and Spiti river in Himachal Pradesh India. In wake of the massive crisis being faced by the Himalayan Rivers owing to unprecedented pollution, the environment protection citizens groups have demanded the state government for protection of rivers in Himachal Pradesh. In a written memorandum to the Secretary Environment, Manisha Nanda, the environment protection community and citizen groups have raised serious concern on the increasing threats faced by the rivers and ravine ecology, due to major developmental activities that include dams, hydropower projects, uncontrolled tourism, urbanisation and industrial pollution. They demanded that the state environment department should carry out regional consultations and prepare action plans for each of the basins with the involvement of local community representatives, citizens groups, environmentalists and experts along with chosen government departments. Other key demands include declaration of Chenab and Spiti free-flowing wild rivers along the lines of the Thirthan, which is a no-go area for hydropower projects, besides protection of smaller streams on which communities depend for irrigation there is need to control sand mining and small hydropower project construction as well as protect forests with involvement of communities. The memorandum has been endorsed by various organisations that include Himdhara Environment Research and Action, Collective and Himachal Van Adhikar Manch, Him Lok Jagriti Manch Kinnaur, Jagori Grameen Kangra, SUTRA Solan, Himalaya Bachao Samiti and Himalaya Niti Abhiyan, Chamba, Save Lahaul Spiti, Keylong, Spiti Civil Society Kaza. They rued that the developmental activities are being carried out in the absence of proper planning, impact assessment and carrying capacity studies and monitoring by the environment regulatory agencies of the state. “These are the urgent problems that have had several ecological, social, cultural and economic impacts that are becoming irreversible,” they stated. 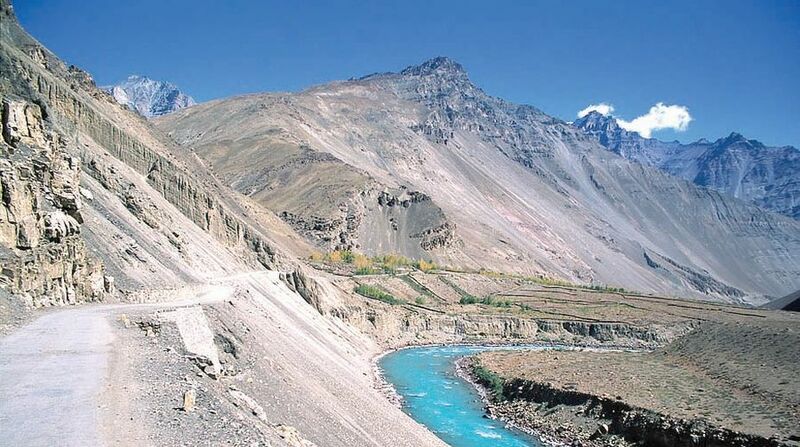 They demanded declaration of the major rivers Chenab and Satluj in Upper Kinnaur as well as Spiti that remain free flowing in the high altitude regions that are ecologically fragile and more at risk due to climatic variations, as ‘Eco-sensitive zones’ and no-go for major construction activity. Protect small streams and tributaries, make it mandatory for Cumulative Impact Assessment studies for Hydropower Projects on the river basins, strict actions on illegal sand mining, controlled and regulated construction for developmental activities like tourism, book violators dumping industrial effluents in rivers are their other demands. They suggested involvement of local community in river protection, regulation to support Pollution Control Board and other bodies and monitoring of discharge and environmental flows.